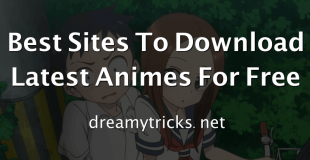 So guys, We Dreamy Tricks is back again with another trick on how to increase download speed easily. As, most of guys love to download latest mp3 songs, videos, movies for entrainment or some guys love to download animes from torrents and other download site. So, download speed matters a lot especially when you downnload any big file. 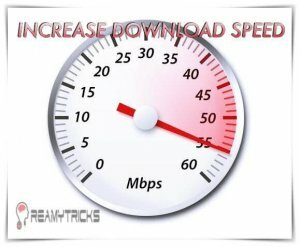 So, We Dreamy Tricks is sharing some tricks and tips to increase download speed. It is truth that internet downloading speed depends upon ISP but still there are some tweaks which can help in increasing download speed for free without buying any premium service or any premium account. Most of guys uses different kind of internet connections like Broadband, Dial up connection or dongle connection. So. if you are having a high speed internet connection plan and you are thinking that you are getitng slow speed for what you are paying for, then get ready to get for what you pay 😉 . Here, We are sharing some general tips to increase download speed which is taken by windows for updates and some other tweaks as well which can give slight boost in internet connection speed. You may also like how to fix this copy of windows is not genuine. There can be many reasons behind your slow downloading speed. Maybe it is due to some updates, or any malware or any other registry edit which is eating up your internet connection speed. So, We can’t say completely that what is the reason behind slow internet connection speed, but you can try these tweaks to increase downloading speed. Note down your downloading speed of IDM, Chrome and uTorrent (or any other client which you generally use to download your files). Take a online speed test as well so that you can easily compare new internet speed with old internet speed. 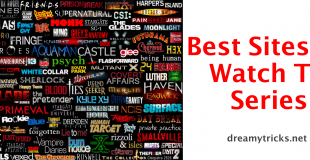 So below We are sharing working tips and tricks to increase downloading speed easily. Just follow each and every trick of increasing downloading speed. so that you can make suer that you are having maximum internet speed. DNS plays a vital role in maintaining your internet downloading speed. So, to increase download speed, you must use fast DNS server. In past, Google DNS were considered to be fastest but due to heavy load on that servers now, Google DNS is no more beneficial in increasing your internet speed. Here, We will use DNS Benchmark by GRC which I think provides fastest DNS. So, if you think any other DNS provider faster DNS than this one, than you can give a try that DNS too. First of all, Download DNS Benchmark by GRC. Just, open this file (No need to download that file). First of all, Click on Run Benchmark. Now, Wait 10-20 min so that this test gets completed. Now, you can see many DNS servers with some bars in front of DNS servers. Now comes the tricky part, Select any two DNS servers with smallest bars. Open Control Panel> Network and Internet> Network and Sharing Centre> Click on Adapter Settings. So, it was first method to increase download speed by changing DNS server. This trick is one best way to increase download speed. Let me share you my experience about download speed. One year ago, I was using dongle of 7.2 Mbps, but recently I switched to 21.1 Mbps one and Guess What? I got a sudden boost in speed of my internet connection. 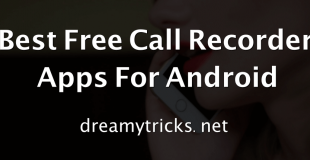 Its speed increased by 200% in no time without any applying any additional tweak. So, if you want high download speed make sure you have a powerful high speed dongle. You must use IDM to download your favourite files. IDM has many features like Pause and Resume support for files. IDM usually splits your files and download them parallel which gives a boost in download speed. Though, IDM is paid software but you can use 30 days trial of it. If you do not want to buy additional Download Manager, then you can use alternate download managers like Free Download Manager (FDM) etc. These download managers are not effective as IDM but they will surely improve your downloading speed. 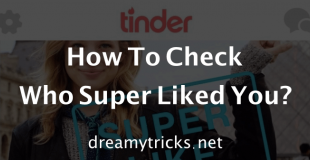 This method works pretty well actually. Though, we do not recommend you to turn off Windows updates and third party program updates but at least you can stop them from running in background when you are downloading any file. This method will boost battery life of your laptop as well. This method also works most of the times. As, sometimes many trojans or malware gets installed in your pc which eats up download speed in background. These malwares not only eat up internet speed but performance and battery life as well. So, do a virus scan. We recommend Quick Heal Total security as it repairs all files which is infected by virus instead of removing them. So, it was all about methods to increase download speed. These methods will surely boost your internet speed as well as download speed.I am damn sure, after implementing all these tips you will get at least 200% boost in download speed of your pc. Bookmark this page to get more updates on increase download speed.